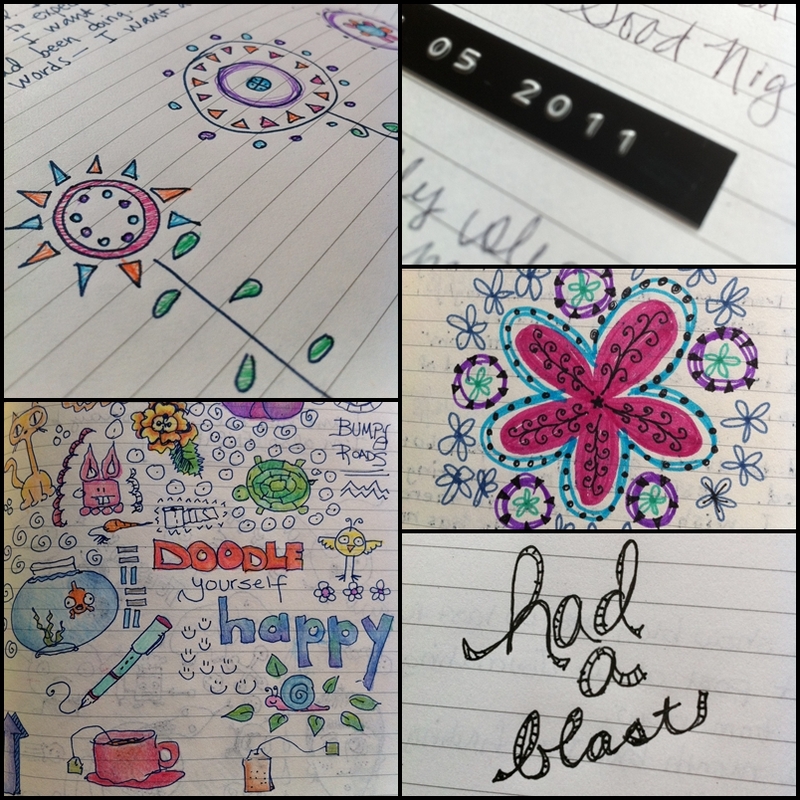 Back in June of 2011, I had typed up a post about journaling for Pentel’s blog. It was posted on Pentel’s old blog and can be found HERE. I think it is a relevant topic and since I’ve found myself in a journaling rut, I’m reposting it here with hopes of reigniting my journal spark. Enjoy and be well. Keeping a journal can be a very rewarding experience. Many people get hung up on expectations and perceived boundaries. They feel a journal should be a specific type of thing, containing mandatory elements. With such limitations, a journal often sits abandoned on a shelf and collects dust rather than achieves its full potential by becoming an extension of its owner. Don’t feel restricted by materials. If you feel like gathering random bits of junk mail, punching holes and adding a binder ring, go for it. For some, a five-year leather bound expensive journal and a fancy fountain pen is the answer. For others, a fifty-cent special composition notebook from the back-to-school sale is perfect. Digital journals are also a possibility. Don’t feel you have to live up to anyone else’s standards. Journaling is individual and should match your needs and personality. Since there are no rules for your journal, you can do whatever feels right. Change things up and play around. Heck if you want four journals going at one time, by all means give yourself permission. Dating pages might be helpful but it isn’t mandatory, nothing is. Toss every rule and regulation out the window. By ridding yourself of all preconceived restrictions, you will be able to get to the heart of what journaling is truly about – YOU. 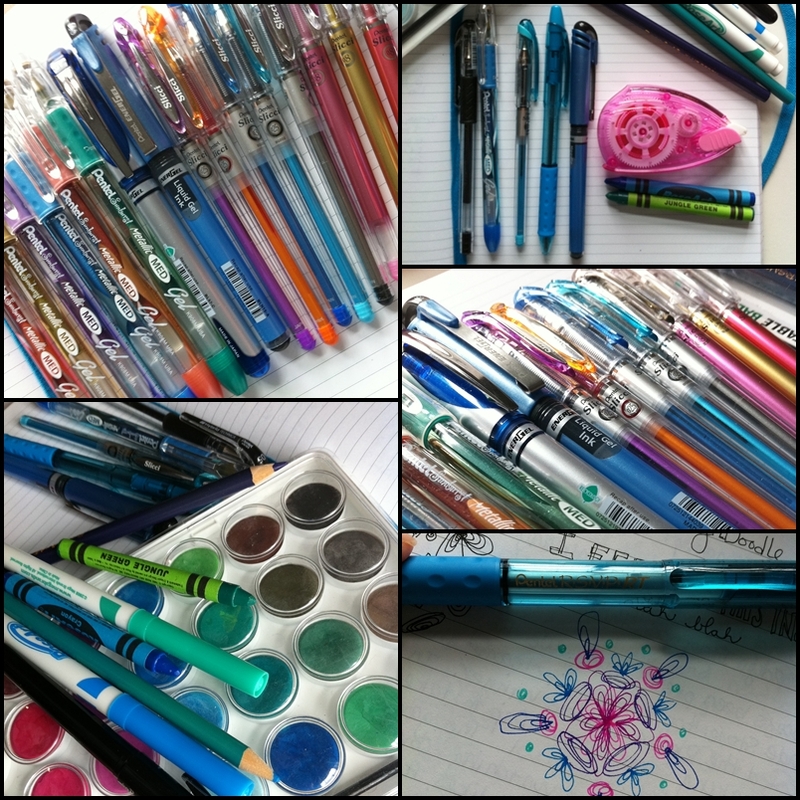 Colorful pens, crayons, markers, paints, etc. can be great tools to help you loosen up and let go of your inhibitions. The content of your journal can be as unique as your imagination. Glue in bits of ephemera from your days, document your life hour-by-hour, record dreams, keep lists, draw doodles, and scribble song lyrics. A journal can help you vent frustrations, work out problems, make difficult decisions, expand on new ideas, refocus your energy, keep track of events and act as a stand in for your best friend. It can contain any combination of writing, drawing, scribbling, or coloring. The important thing is to give yourself an outlet. “But I can’t draw.” Tie this excuse up, cover its loud mouth with tape and send it to sleep with the fishes. Don’t pressure yourself with hopes of a final masterpiece. The process is key. Draw basic shapes or stick people and enjoy yourself. Doodle a border of daisies around your page, color them and have some fun. Journals don’t pass judgment. If you don’t feel comfortable creating your own designs, print out coloring pages. Grab your crayons, markers, highlighters or colored pens and then glue the results in your journal. Some days you may just want to collect bits of inspiration by pasting pieces of magazines or catalogs in your journal. Remember, anything goes. I am no stranger to struggling with keeping a journal. I found writing every day wasn’t a good fit. By allowing myself to explore possibilities outside the “Dear Diary” realm, I’m now more eager to journal. I’m open to experimentation and have tried a lot of different approaches. I’ve collected bits of my day and glued them on a page. I didn’t write one word but the mementos act as a reminder of that day. 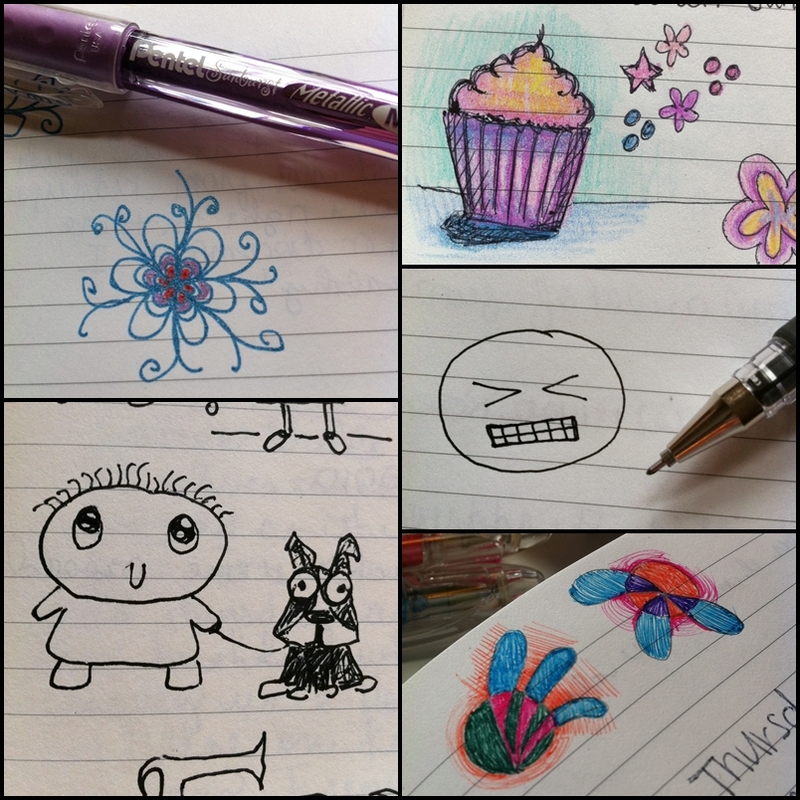 I’ve depicted an entire day with doodles. Some days my journal entry only includes words, filling multiple pages. Other days lack a single complete sentence. I find stream of consciousness writing helpful when “writer’s block” strikes and doodling patterns is helpful if I can’t think of anything to draw. Some pages inspire me to share them online or with friends but I’ve also created pages that will never see the light of day again. I feel that the sky is the limit since I’ve left all the rules behind. Sure, some pages might fit better in a sketchbook or planner but they are all important parts of my journal. There is a great deal to gain; I hope this inspires you to adventure into the world of journaling.